There has been plenty of speculation about teams that might be interested in signing Dez Bryant. There has also been Bryant’s interest in remaining in the NFC East. So far, there has been very little activity, mostly just reports of teams are not interested, including the Cowboys division rivals. 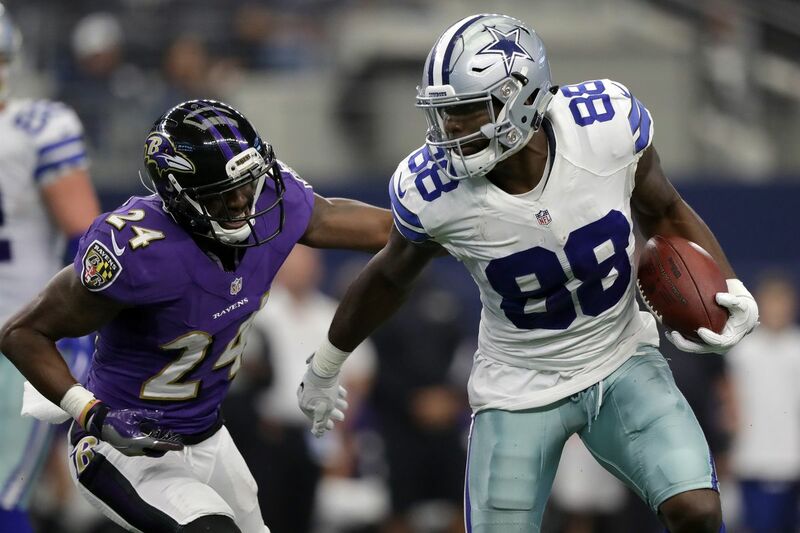 Today there is a report from the Baltimore Sun that the Ravens are a team that does have interest in signing Bryant. In fact, they had been looking at Bryant and Michael Crabtreeprevious to free agency as both were rumored to be potential cap-casualties. Once Crabtree was released at the start of free agency, the Ravens signed him to a three-year, $21 million deal. They also signed free agent receiver John Brown. But that has reportedly not stopped them from looking at Bryant. Now, Bryant is suddenly available after the Dallas Cowboys unceremoniously released the 29-year-old late last week. Predictably, the Ravens have interest in him, sources confirmed. Ravens fans, who still lament the fact that the team was unable to land Bryant in the 2010 draft, seem infatuated with the idea. Bryant might not be the same player as he was earlier in his career. He caught 69 passes for 838 yards and six touchdowns receptions in 16 games last year. Numerous evaluators have said Bryant struggled to get separation from defensive backs and is not coming down with as many jump balls as in the past. Bryant caught just 52 percent of his targets last season. Bryant’s sideline outbursts also can turn some people off. But Bryant is still a dangerous red-zone target. He’s still a receiver capable of making big plays. And he competes with a physicality and intensity that the Ravens not only love, but badly need on the offensive side of the ball. The question would be is Bryant interested in the Ravens. A lot would have to do with how he views quarterback Joe Flacco, and the Ravens offense, but if there is a lack of suitors for his services, he might have to jump at a deal. We’ll just have to see if the Ravens are serious in their pursuit, and if this spurs any other teams to jump in now that they see they might have competition. The Ravens once thought Bryant was going to be a member of their team, back in the 2010 draft. In 2010, it looked as though the Ravens were poised to take Bryant with the No. 25 pick. But the Cowboys traded three spots up to select Bryant just ahead of Baltimore. When it was announced that the Cowboys had chosen Bryant, a team-produced video showed the scouts in the Ravens’ draft room go stone-faced. Baltimore then decided to trade out of the first round. Now they have a second chance.